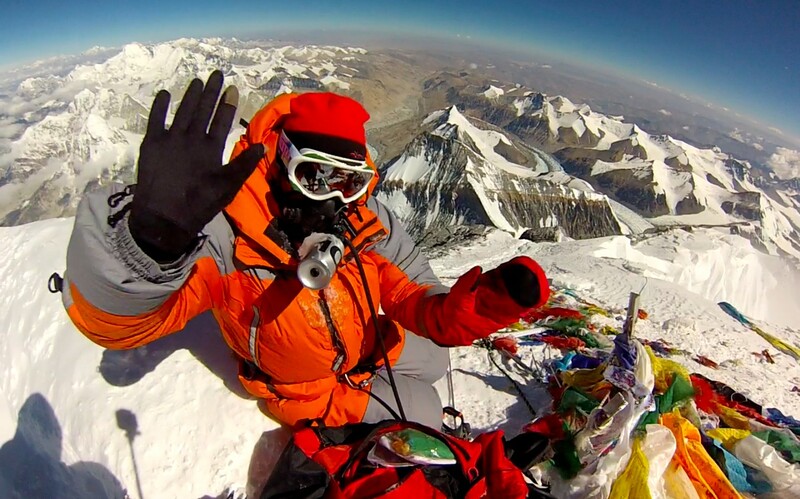 May 24 – Mt Everest North Base Camp | Edita's Blog - "Intotheblu"
Edita just called to say she had just arrived safely back at base camp. The satellite phone cut out but I did get from her that they were just about to have the usual Altitude Junkies celebration glass of champagne. They deserve it! Join me in taking a deep breath and a sigh of relief, the exhibition its over. I will sign off from herein and hope to hand this blog back over to Edita as she gets to Kathmandu tomorrow. It has been quite a week here in Geneva dealing with the World Health Assembly, meeting with many Ministers of Health, managing simultaneous concerning disease outbreaks AND most importantly, waiting for news from the mountain…whew!!! Again THANK YOU all for your support both to the campaign and to those of you that have written me personally to ask “Paul are you ok?”. I am more than ok because Edita is ok, I am ecstatic! 🙂 Cheers everyone and keep a look out here for photos to come soon. You’ve done a great job as custodian of the blog, Paul. Trish and I will also celebrate (with a glass of prosecco) tonight. Here’s to Edita! Please pass on our felicitations. Trish and David. Will DEFINITELY pass that along Dave and Trish. Hope to see you soon to share a glass!